After installing a handicap shower or handicap bathtub, there are still additional accessories that can raise your comfort level. Accessories such as shower chairs, shower heads, handrails and grab bars. Handicap shower accessories can make a huge difference in a handicap person’s life. Accessories can mean the difference between needing another human being’s physical assistance or the ability to confidently, do it themselves. This type of independence can make such a difference because once a person succumbs to needing shower and bathing assistance, much of the time, a part of their dignity is lost. Accessories such as shower chairs, hand-held shower heads, suction and bolt-secured handrails and shower grab bars are among the most used accessories. There are handicap shower accessories that include a variety of shower grab bars such as the ones that can be secured onto a bathtub curb like a clamp on the side. 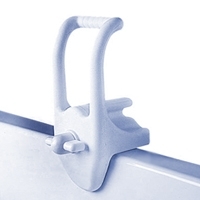 This aids the person to get into the tub by giving them something secure to hang onto while stepping over the bathtub side. Having another handrail on the wall-side of the shower will be helpful for maneuvering within the bathtub or shower. 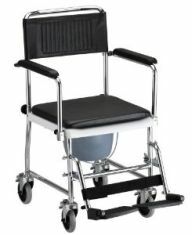 If the shower is being used, there are a variety of handicap shower chairs made of durable plastic, teak or steel that will hold an adult body securely. These chairs usually have a hand-held shower head holder attached to it, giving the person a place to safely put the shower head, when needed. 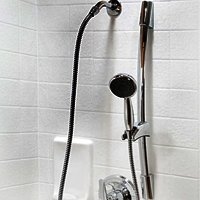 The hand-held shower head is another of the handicap shower accessories that is widely used in simplifying the task of showering while sitting. Most are equipped with a long hose so you are able to sit anywhere in a handicap shower and have no worries about it being able to reach. One of the biggest handicap shower accessories available is more than an accessory. It is a special bathtub made to accommodate the disabled and elderly. These handicap shower tubs have a door on the side to allow the person to get in the tub without having to step over the side. They have made an amazing difference for many people’s comfort and relaxation.